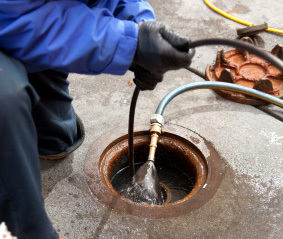 Drain back-ups, gurgling and other draining problems are often an indication of blockage in the sewer line. This can be a relatively minor issue or a very big problem—and until recently, there was no sure way of determining the cause without expensive, destructive excavation of the pipes. Sewer line backups can have many causes. One source is tree roots in the line. Sometimes the pipes may have settled, been crushed, punctured or broken, or even become disjointed. In other instances, construction debris or improper installation can cause a backup. 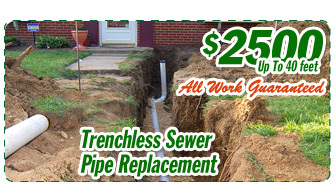 Today, plumbers can use a video sewer inspection to diagnose the cause of a sewer line blockage. A flexible fiber optic video camera is snaked through your sewer line, in most cases using your cleanout access, and your sewer line video inspection can even be recorded. This way you and your plumber can review and determine the best way to correct the problem.